Gifts for the Kids and Kids at Heart! This gift guide is all about celebrating good, old-fashioned fun for kids of all ages! Puzzles, playing cards, and DIY kits galore! Take a peek to see what tickles your fancy! Charades—a classic game that never gets old! Available with a variety of other trivia and card games at Bell Farm Shops. Whether for school, vacation, or a day trip, this luggage allows children to tote their treasures in playful style! 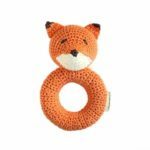 These sweet rattles from Whims & Whatnots are hand-crocheted, using 100% organic bamboo yarn. While adding a sprinkle of fun, they are also naturally antibacterial and non-allergenic! 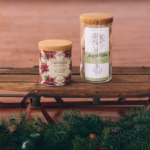 Grow your own plant indoors with this Poinsettia Flower Planter from Gus & Ruby Letterpress! A holiday favorite, this plant features an incredible range of foliage colors perfectly complemented by brilliant red-orange foliage blooms. One shape, endless possibilities! 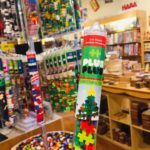 Plus-Plus building kits come with everything you need to build a Christmas tree structure—or make your own creative masterpiece! 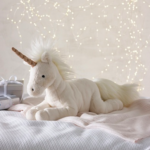 Wheat’s cute and cuddly Jellycat Luna Unicorn will fill everyone’s heart with happiness all year long.! 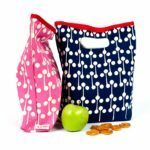 Erin Flett’s LOLLIPOP Lunch Bags add a fun and modern twist to meal time! These stylish lunch bags are bright, colorful, designed to last, and can be tossed in the wash! 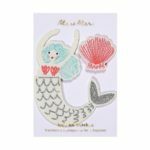 Colorful and fun, this sweet mermaid patch will dazzle every coat and backpack! 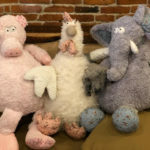 Available along with a variety of playful patches at SPACES Kennebunkport. Cuddly and cute, these Pillow Buddies from Inside Out are a soft and cozy addition to anyone’s home! 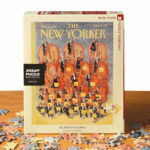 Puzzles are a great way to bring family and friends of all ages together during the holiday season. 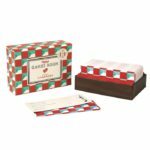 Choose from a selection of festive Vintage Puzzles at Weekender House. Tiny “Try Me Perfume Kits” from Whims & Whatnots are like mini perfume labs in a box! 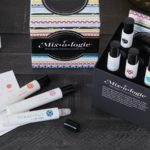 Mix together 10 blendable, alcohol-free perfumes and enjoy the experience of creating your perfect scent! 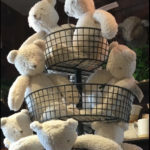 Oatmeal Floppy Bears (in two sizes) are hand-sewn by a female farmer from Cutchogue, New York. The bears are so soft and washable! Available at Farm + Table. 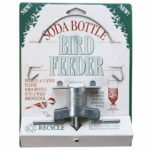 Just add a recycled plastic 2 liter bottle to create your very own backyard bird feeder!